Patron-only content for supporters of The Virtual Memories Show. It’s time for a new episode of Fear of a Square Planet, our patron-only bonus podcast where I ask the all-important question of my Virtual Memories Show podcast-guests, “So, who you reading?” This episode features most of the guests from the Virtual Memories Show in the fourth quarter of 2018: Nora Krug, Jason Lutes, David Small, Eddie Campbell, Michael Gerber, Mark Dery, Angela Himsel, Cathy B Graham, Shachar Pinsker, Summer Pierre, and Bill Kartolopoulos! Here’s the mp3 link: Download it and give it a listen! You can find everydamnthing I’ve been reading at this page. 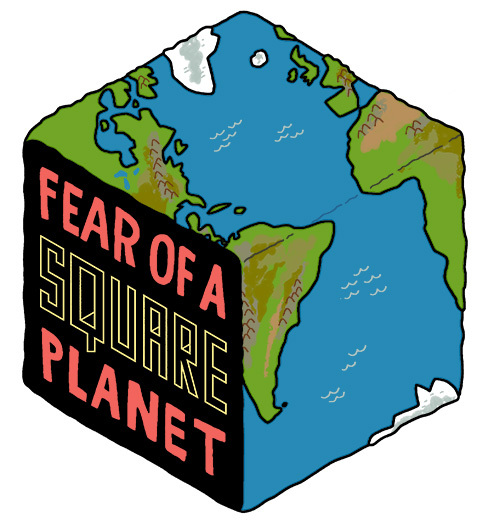 It’s time for a new episode of Fear of a Square Planet, our patron-only bonus podcast where I ask the all-important question of my Virtual Memories Show podcast-guests, “So, who you reading?” This episode features most of the guests from the Virtual Memories Show in the second quarter of 2018: Mark Ulriksen, Hal Mayforth, Nathaniel Popkin, David Lloyd, Lance Richardson, Glen David Gold, Moby, Audrey Niffenegger, and Ken Krimstein! This episode features most of the guests from the Virtual Memories Show in the second quarter of 2018: Steven Heller, Dean Haspiel, Jaime Hernandez, JJ Sedelmaier, Michael Kupperman, Ilana Myer, Christopher Brown, Irvin Ungar, Alberto Manguel, Chris Reynolds, and Dave Calver! This episode features most of the guests from the Virtual Memories Show in the first quarter of 2018: Dave McKean, Paul Karasik, Mark Newgarden, Seymour Chwast, John Leland, Ann Hulbert, Henry Wessells, Lauren Weinstein, Jerry Beck, Willard Spiegelman, Lavie Tidhar, Jesse Sheidlower, and Robert Weil! You can find everydamnbook I’ve been reading at this page. This episode features most of the guests from the Virtual Memories Show in the fourth quarter of 2017: Shannon Wheeler, Barry Blitt, Martin Rowson, Nicholas Delbanco, Eshkol Nevo, Paul Gravett, Eddy Portnoy, Vanda Krefft and Cullen Murphy!